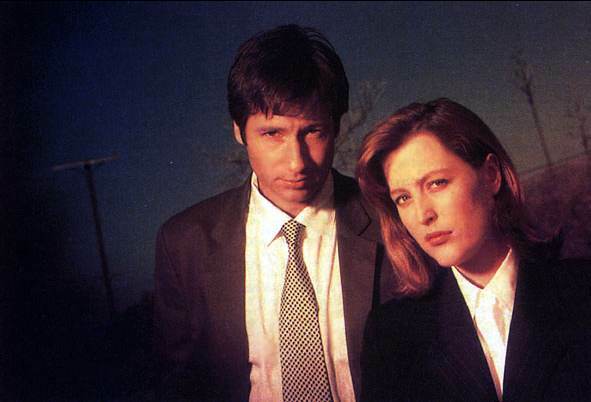 Top Ten Reasons on How You Know You Watch TOO MUCH X-Files! 1. You no longer wonder if the aliens are coming, you know they're already here! 2. You insist on being taken to casualty/emergency for an X-ray after you've had a nose bleed, because you never know! 3. You refer to every unknown liquid as "monkey pee". 4. You wear a gold cross around your neck even though you're not religious. 5. When you answer the phone you say: "Mulder" or "Scully". 6. You put two strips of masking tape on your window to form an "X". 7. You're suspicious of everyone who wears a big rain coat and chain smokes. 8. You name your family pet "Queequeg", Mulder or Scully or Skinner or Frohike or anyone who's name is anyway related to the XFiles. 9. You don't act normally outside, you have to hide behind parked cars and the corners buildings before you make your move. 10. You carry a torch and a mobile phone and a pair of latex gloves with you at all times.